A hawk dives into your yard, and a frightened robin slams against a window, mistaking the transparent rectangle for an escape route. But you can help. Fold its wings gently over its body in their natural position, grasp the bird lightly, and wrap it loosely several times in the towel. Keep the wrapped bird indoors for about 15 minutes. Then step outside and gently unwrap the bird. Very likely, it will fly away. 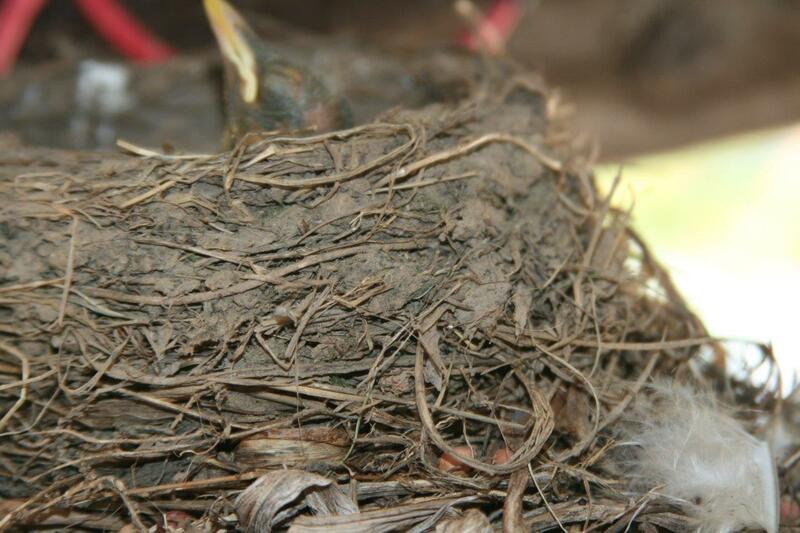 If you find a sick or injured bird, consult a wildlife rehabilitation expert. See Related Resources below to find one near you. It can happen any day of the year. 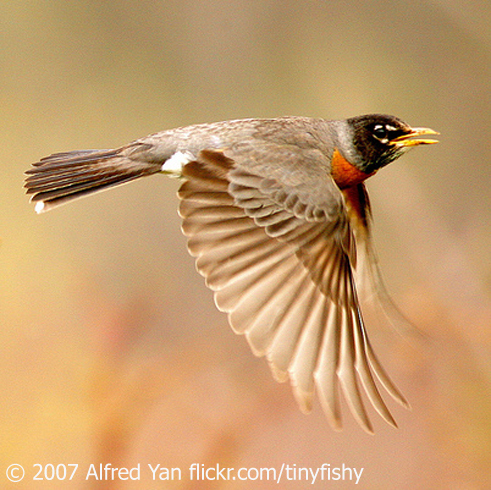 A hawk dives into a yard, and the smaller birds fly madly in all directions. [Alarm cries of robins] A frightened robin slams against a window, [a loud “thunk”] mistaking the transparent rectangle for an escape route. 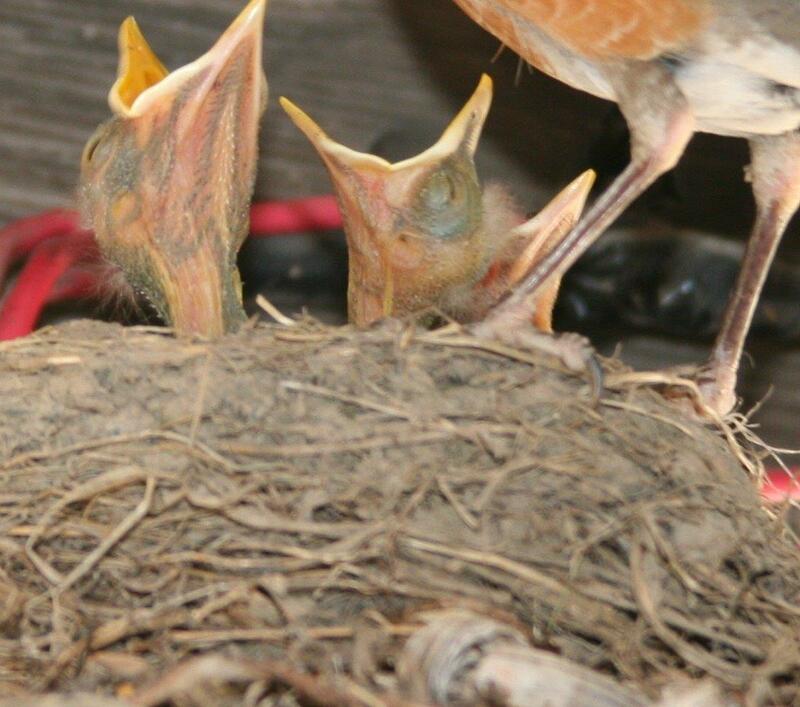 The robin has knocked itself silly. It tries to stand, wings askew, on the cold ground. It’s now easy prey, and its slack feathers cause it to lose body heat rapidly. If you witness such an event, you can help. Approach the bird slowly, to reduce alarm. Fold its wings gently over its body in their natural position, and then grasp the bird lightly and place it on a towel. Wrap it loosely several times in the towel, completely enshrouding the entire bird and preventing escape. Keep the warmly wrapped bird indoors, in a safe place like an empty box. Allow it to warm up and recover its wits for about 15 minutes. Then step outside and gently unwrap the bird. Very likely, it will fly briskly from your hands. 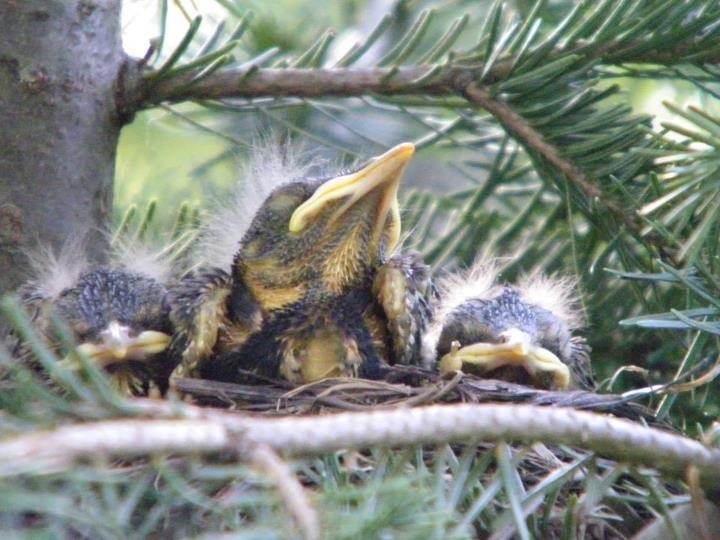 For birds that require more help, you’ll find links on our website, birdnote.org. Bird sounds provided by The Macaulay Library of Natural Sounds at the Cornell Lab of Ornithology, Ithaca, New York. 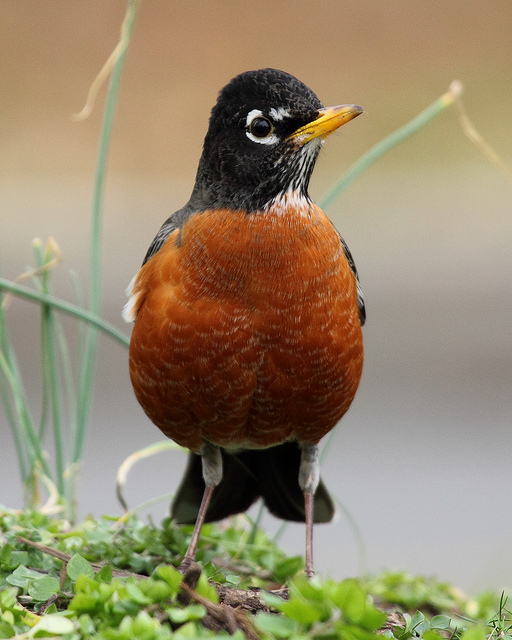 Calls of American Robin alarm calls  and ‘kip’ call  recorded by G. A. Keller. Fast wing flutters and light wing flutters featured in today’s show were recorded by Gordon Hempton of QuietPlanet.com. “Lean on Me” from The Best of Bill Withers, Sony Records, 2005. Check out David Sibley's tips to prevent window strikes!